Mark Stolzenberg, head of the Acting School for Film and TV, also teaches "Acting For Film and Television" at The New School in New York City. BERNADETTE FIORELLA is a classically trained soprano who has sung with New York City Opera for the past 21 years and has performed with groups such as Musica Sacra, Chelsea Opera, and the New York Choral Society. Certified by Cambridge University as an English language teacher with a specialty in accent reduction, she has taught in classroom and private settings. Her musical training and familiarity with several languages both provide a good ear for accent correction. Ms. Fiorella also teaches voice privately and has coached singers/actors in preparing for auditions. FILM: Together (Best Actress award), The Girl in the Park, $5 a Day and others: INTERNET This Is Personal; What Would Their Mother’s Say? and The Peace Corps . IMPROVISATION FOR THE UNSUSPECTING, graduate University of North Texas, early years with The Second City (directed by Josephine Forsberg) , The Wing of The Committee (studying improvisation with Del Close) and The American Conservatory Theater. Scene study with Carol Fox Prescott, E. Katherine Kerr. 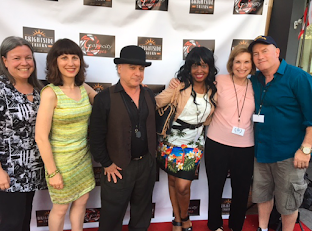 TEACHING and DIRECTING: The Wing, Unexpected Company; workshops in Improvisation for The Association for Research and Enlightenment (Edgar Cayce Foundation), sessions in spontaneity with authors Walter Starcke and Amit Goswami (What The Bleep Do I Know?) Founding Member: 78th Street Theater Lab, The Stitt Playwrights Group, Contributing Artist to The Woodshed Collective. Judith has taught and coached privately for 30 years in New York City. Lynn Schulson made her acting debut on stage in My Fair Lady in 1978 and went on to be Madwoman of Chaillot as Countess Aurelia in 1979. Lynn took a hiatus from acting to work in accounting and finance then became an executive assistant at the "C" level for over a decade. She has been studying acting with Mark Stolzenberg for almost a dozen years and has been in the New York Acting School's recent documentary which lead to her role as producer of the new film short/pilot Cyberian Candidates. She has been seen on NBC's Smash and has participated in, and helped organize countless New York Acting School projects and been a teaching assistant to Mr. Stolzenberg for a number of years. Lynn's expertise is most notably in character development and analysis, and she enjoys getting lost in the character and the challenge of being "believable" in unbelievable acting scenarios. She is creative, inventive and has the ability to "find the love" and create "conflict" in scenes and monologues thus generating texture and interest.